Someone is going to make a major hardware announcement later this week and it looks like Google plans to steal at least a little of their thunder. Yesterday afternoon Google announced a new local ebookstore in Japan as well as several major feature updates for the Google Books app for Android. The ebookstore in Japan is accessible via Google Play, and it launched on the same day as the Nexus 7 became available in that country. The tablet is available now from the Play store at 19,800 yen (~ $254) for the 16GB model. Starting early next month the Nexus 7 will also be available at major Japanese retailers such as Bic Camera, Yodobashi Camera, and Joshin. The ebookstore includes access to most of the same ebooks available elsewhere as well as a number of Japanese publishers. This new launch makes the Google eBookstore available in Japan, the UK, U.S., Canada, Australia, Italy, France, Germany, Spain, and, like I reported yesterday, South Korea. Amazon is rumored to launch in Japan in October, and Rakuten/Kobo launched there back in July. Given the difficulties that Japanese presents in terms of properly showing text, Google also quite wisely chose to update the Google Play Books app. This app is getting a number of new features that you cannot yet find in the iOS app, including support for vertical text as well as right to left page turns. These 2 features are expected by Japanese readers, and the only platform which I know supports them is Kobo. The app also adds improved annotation options, including highlights and the ability to add notes.The app can also now translate words when you select them and also show definitions. Google is also going a step beyond basic dictionary support by integrating new Wikipedia and map search into the dictionary look up. Now of you search on a place you might get a map result along with a snippet of Wikipedia text talking about it. Yesterday's update also includes a couple new reading options like a sepia background, and sliding page-turn. Both are great if you use them but I don't. 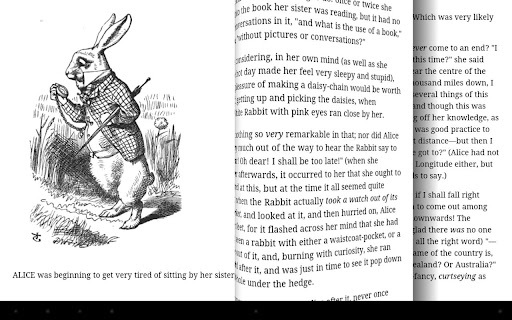 All in all, Google is making a great software play for ebooks, video and music. Luckily for them theyu don't have to make the same effort in hardware as Amazon, B&N, and others; Google already has Android tablets galore, including their own official one.